Between Memorial Day, my grandfather’s death and the anniversary of D-Day this week, I have been thinking quite a bit about all of the sacrifices that people have made over the years in the name of liberty. It’s not just patriotism for patriotism’s sake. I mean, I like this country quite a bit, but it isn’t the only place in the world where people are thriving. We would all be very well served to commit ourselves to learning a little more about the rest of the countries on the planet [Do you know anything at all about Canada’s politics? Could you name their top political parties? Do you know where Malawi is located? Can you point out Syria on a map? What is going on with Portugal’s budget? Over which country does President Saleh preside? — You can probably do one of them. Even two or three. All of them? Me neither. We’re just unbelievably self-centered, which is especially a problem if you consider your citizenship less a matter of political prestige and more one of spiritual matters]. But, I digress. I am the child of a retired USAF Chief Master-Sargent. I grew up completely entrenched in the military way of life. And in many, many ways, the military worldview is unique. You think differently about politics and security and the future and Red Dawn. I went to bed every night for about two years in early elementary school convinced that I needed a way to escape if the Cold War came knocking on my door and could only comfort myself with the idea that living within 12 miles of an Air Force base gave me plenty of hope that I wouldn’t survive the initial nuclear bomb strike. Probably not something you were doing if your dad wasn’t working on a satellite test team that was part of Reagan’s Star Wars program. See? Different worldview. And then there was my mother. She rarely said anything about those many many days and nights when she was a single parent and when she did speak up, if it wasn’t to invoke the “When your father gets home, he will deal with this!”, it was positive. She just sucked it all up and barreled through those days; the ones where my father was gone for a year when we were smaller than my two kids are now, the ones when we were in elementary school and she was checking our homework and keeping the house and budget together too, the ones where we were out on our own and she was all alone with Pogo. She didn’t complain. She didn’t undermine his work. She never gave him a reason to worry so that he could focus on the very important tasks at hand. And she wasn’t alone. The world is strewn with scores of women who do and have done the same thing. The ones from WWII are leaving us so quickly now, these women who gave up silk dresses and stockings so that boys could jump out of planes. The ones from the Vietnam era who suffered so much dealing with a war they might not have believed in while their husbands and fathers and brothers and sons fought because they’d taken an oath. The ones who watched their loved ones leave for places like Korea and Bosnia and Turkey and for places like submarines and carriers and out posts and front lines. The wars that continue to call your family away now are remembered and forgotten as their political advantage is needed. Our every day lives here, though infinitely more informed than before, are cluttered with causes and attention can so quickly shift to floods and tornadoes and things that seem more imminent. I just wanted you to know that today, on this Thursday, I am stopping to remember you and to offer my thanks for all that you do. It’s Thursday, which means another installment of gratitude. It’s an attitude! Last week, I flew to Maryland all by myself. That is not an easy thing to do when you have two children that depend on you to be there every moment of every day and night. It is a wonderful, sometimes rewarding, sometimes infuriating full time job. And I had to find people who would not only watch the kids while I was away and Jud was at work, but people that I trusted. When you are given something that is fantastically fragile, highly impressionable and incredibly vulnerable, you have to put it in the right places at the right times to keep it healthy and safe. Which is why I called Jan, Lydia and Sarah. Jan took the morning duty and dragged her very pregnant self out of bed earlier than she would have had to without my imposition and came over before Jud left for work. She took them to the park. She gave them breakfasts and snacks and played lots and lots of Legos. Then she packed them up and took them to Lydia’s. If I pretend like it was just Lydia helping out, you would know that wasn’t the case immediately. She has all of these fantastic children there to help and I am sure that they did quite a bit of work to keep my kids entertained. They helped Piper nap. They gave them snacks. They played outside and inside and once again spent tons of time engrossed in Lego creations. They’d been busy all morning completing and administering standardized tests and then they gave up their afternoons to make sure my trip could happen. It was technically a vacation week there, but they sacrificed for our family and shouldered our burden when they didn’t have to. And as if dog sitting my parents hounds wasn’t enough, or being at her parents’ house to help with my kids in the early afternoon didn’t go out of her way enough, Sarah came over and watched the kids in the evening so that Jud could make his committee meeting too. Where is the end to the giving? What would these mothers and sisters and young women not do to help their friends? Outside of the realm of legality and spirituality, I have no idea. They love me so well. I hope that they know how much they have blessed me, the kids and Jud as they sacrificed their time, energy and sleep to make our week happen with ease. I couldn’t be more grateful. Thank you. Your loving kindness to our family so clearly reflects the Savior and we are filled with joy. With so many incredible people to thank each day for making mine that much better, I have decided that there is not a better place to proclaim my love for them than on the interwebs. 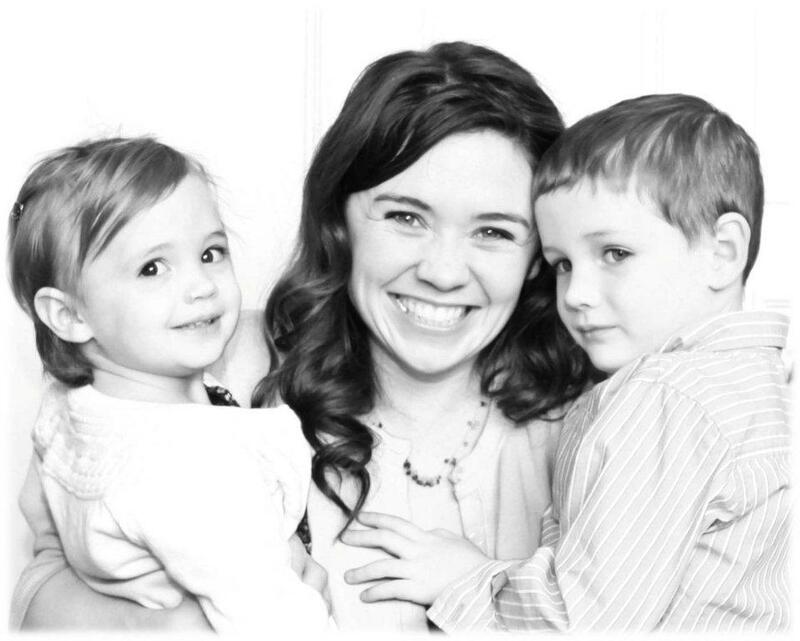 Our friend and wonderful photographer, Eve, took this photo of me with the kids for the Mother’s Day Montage at church. Although I clearly don’t know how to hide my gum when smiling I am sure that I will love this for years to come. Thank you, Eve, for capturing this moment and to Sarah W for sending it to my inbox. You two together are keeping this website beautiful and I am so thankful for your artistic contributions to the CBC family. The beauty you are highlighting reflects your beauty too. I am so appreciative to receive the gift!